Even today it’s members consist of the wealthiest businessman and the most influential politicians. It was erected over a century ago and meets at least 2 or 3 times a year. Still, 99% of the world has never heard of it. We’re talking about the Pilgrims Society. An aristocratic Anglo-American dining club who’s members keep themselves informed by inviting politicians to make a speech. The primary purpose of this club is to keep the ties between the United States and Britain as strong as possible. The official reason was, and is, that the forefathers of most Americans from the Virginia and New York area emigrated from the British Isles, therefore they share a common heritage. They are blood brothers so to speak. 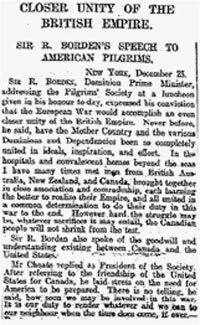 Of course, the obvious reason was to form an unofficial alliance with the United States to improve the strained relations and to vastly increase the powers of the dwindling British empire. The heart of the British empire and the later British Commonwealth became the Pilgrims Society, it’s philosophies dominated by the executives of the upcoming mega corporations, largely located in the City of London and the city of New York. 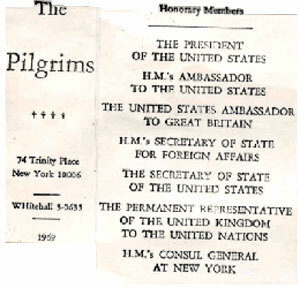 The London chapter of the Pilgrims Society was established on July 11, 1902, followed by a New York chapter on January 13, 1903. It’s patron is the British monarch, who has plenty of representatives attending the meetings. A member of the Royal family usually attends the London diners. As you’ll find out by looking at the membership list, the Pilgrims Society has clearly fused together the business centers of New York and London, together with a large portion of the political centers of both nations. Ninety percent of the American members are top-level bankers and businessmen from New York city. Only a couple of Pilgrims own or chair companies with headquarters in Boston or Philadelphia. Businesses that have their headquarters in any other location than this small part of the north-east corner of the United States don’t seem to be represented at all (do keep in mind that recent data is sketchy). Relatively few government officials from Washington are recruited into the Pilgrims Society. Officials from outside the UK or US visit the club occasionally. In the past they usually came from countries incorporated within the British Empire or the Commonwealth, most notably Canada and Australia. A mistake usually made when people refer to this society, is when they call it the ’Pilgrim Society’, because this name hasn’t been used that often. 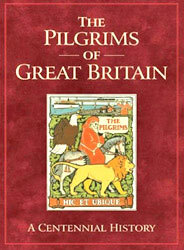 The most often used name is the ’Pilgrims Society’, sometimes spelled as ’Pilgrim’s Society’. You might think this isn’t such a big deal, but when you search the internet or some archives for the ’Pilgrim Society’, you will hardly find any official sources, simply because they all refer to the ’Pilgrims Society’. The name ’Pilgrims Society’ is also unique, so you won’t confuse it with this one. Also try searching on ’The Pilgrims’ or more specifically, the ’Pilgrims of the United States’ and the ’Pilgrims of the United Kingdom’/’Pilgrims of Great Britain’. The club is secret. It might be one of those ’open-secrets’, but it’s secret nonetheless. If it wasn’t, we would have read about it in the history books, we would know all the details of the meetings, and we would have membership lists in the public domain. It is possible to find quite a bit of information in regular newspaper archives, but you really have to look for it. It takes forever to piece the story together. For example, The Scotsman made numerous references to it in the first half of the century (archives are only available up to 1950 atm). Time Magazine made them much less, but still referred to the club once every few years. After 1958, Time only mentioned the club 2 or 3 times, even though meetings continued as usual. Other newspapers in the U.S., like the New York Times and the Washington Post have referred the Pilgrims at times. The Wall Street Journal on the other hand never mentioned a whole lot about this dining club at any time in the past century. The Times of London mentioned the society a couple of times in the past 10 years, even though, as all the other papers, it didn’t give many details about who’s attending. Most other newspapers, including the Scotsman, New York Post, Washington Times, or even the Guardian, seem to have been (almost) completely silent about the Pilgrims in the last 5 to 7 years (that’s how far the digital archives go back). In other countries it’s virtually impossible to get any information on the Pilgrims. Not one large Dutch newspaper has mentioned the name in the past 20 years. References in German or French newspapers are just as uncommon. You can find other speeches in the references at the bottom of this article. Of course, it’s probably not because of the speeches that the Pilgrims Society keeps itself out of the public eye. More likely it’s because of who’s being informed and for what purpose. Also, it’s obvious that members discuss a lot of other business among themselves. As already stated, those who own or run the major banking houses, law firms, and insurance companies in the London and New York area will be invited to join, together with a few very specific government officials. This always includes the president of the United States, the U.S. Secretary of State and the U.S. ambassador to Great Britain. Below you can see which other delegates traditionally are recruited into Pilgrims. Chancellors, Chief Justices, and Attorney Generals seem to be frequent members also. Occasional exceptions have been made to allow writers, composers and art collectors into the society. An example of that was Mark Twain. The patron of the Pilgrims Society is the king or queen of England and a member from the royal family usually attends the Pilgrim dinners in Great Britain. That’s basically all there is to this Pilgrims Society; it’s a dining club. Several times a year a dinner is planned and the board chooses which members it will invite this time, usually somewhere between 300 and 500. A few additional people are invited to hold a speech on a variety of political topics and someone is made the guest of honor. This guest of honor is usually a new member or a Pilgrim who has accomplished something worth remembering. In addition, the chairman of the Society (in Britain it is Robert M. Worcester atm) might give a speech to the CFR or the RIIA once in a while. As already demonstrated, the speeches are both boring and interesting at the same time. Boring because of their substance, and interesting because they show us that Pilgrims, as a whole, aren’t privy to many state secrets. Britain is represented on the left by the lions, the USA is represented on the right by the Eagle. The Celtic cross indicates their common heritage. 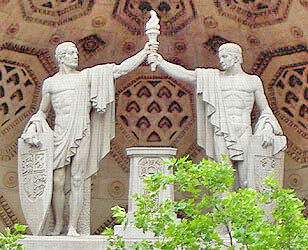 The torch can represent freedom, wisdom, victory, or something along that line. Below the statue you’ll find the inscription "To the friendship of English Speaking Peoples". The Pilgrims Society is allied with the English-Speaking Union, which is an organization that promotes the use of the English language all over the world. The patron is the English queen and the president is prince Philip. The chairman, as far as we know, is always a member of the Pilgrims. All the important members of the 1910 Jekyll Island meeting were Pilgrims; Vanderlip, Strong, Warburg, Davison, Norton, and Aldrich. Senator Aldrich’s closest ally in congress, Edward B. Vreeland, was a Pilgrim too, together with his brother. Vreeland helped Aldrich establish a privately owned central bank. Of course, J.P. Morgan, George F. Baker, John D. Rockefeller, and Jacob Schiff were members also. Keep in mind these people were often competing with each other and weren’t necessarily friends, as so many (conspiracy-oriented) people seem to think. Pilgrim-presidents of the New York Federal Reserve Bank cover the period from 1914 to 1979. The 4 presidents since then have not been members as far as we know, although that’s probably because of a lack of recent data. 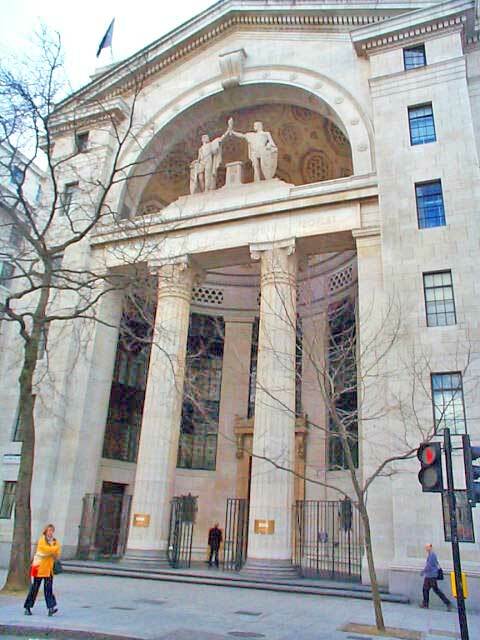 Pilgrim-chairmen of the New York Federal Reserve cover almost the entire period from the 1920s up to 1990, so we can safely assume that the New York Federal Reserve Bank is owned by the Pilgrims. That’s not that unusual, because New York itself is Pilgrims property. "Finally, the Committee [FOMC] must reach a consensus regarding the appropriate course for policy, which is incorporated in a directive to the Federal Reserve Bank of New York—the Bank that executes transactions for the System Open Market Account. The directive is cast in terms designed to provide guidance to the Manager in the conduct of day-to-day open market operations. The directive sets forth the Committee’s objectives for long-run growth of certain key monetary and credit aggregates. It also sets forth operating guidelines for the degree of ease or restraint to be sought in reserve conditions and expectations with regard to short-term rates of growth in the monetary aggregates." "...Traditionally, the Chairman of the Board of Governors is elected Chairman and the president of the Federal Reserve Bank of New York is elected Vice Chairman..."
When sifting through the members list, it turns out that at least 4 of the 13 Federal Reserve chairmen are confirmed Pilgrims (they cover the years 1933-1934 & 1959-1987). Two other chairmen, Eugene Meyer and Alan Greenspan, have all the trademarks of being Pilgrims members. If that could be confirmed, the FED’s Board of Governors has had Pilgrims as chairman from at least 1930 to 1934 & from 1959 on to 2005. In any case, the Pilgrims Society seems to be represented a disproportionate amount on the most influential places inside the U.S. monetary system, especially for a society that doesn’t want it’s existence to be known to the general public. It is likely that at least since 1959 the chairman and vice chairman of the FOMC were Pilgrims, together with the persons carrying out the directives of the FOMC through the Federal Reserve Bank of New York. After analyzing the Pilgrims Society members list of about 360 names (updated in the meantime), I found that the institutions you see on the left were the most often represented. About 75% of this list is American and 25% British (rough estimate). This means that about 1 in 3 of the U.S. members of the Pilgrims Society is a confirmed member of the CFR. Striking is the fact that such a large percentage of CFR members are executive officers. About 50% of all the CFR executive officers have been confirmed members of the Pilgrims Society, which seems to indicate that quite possibly all of them are. I remember looking at an old documentary about the CFR "master conspiracy". The usual stuff came by; banking, the Illuminati and the dollar bill. At the end they showed these concentric rings, indicating the CFR had unknown inner circles. Guess we can now say for sure what the second circle is, counting from the outside. It’s the Pilgrims Society and it undeniably shows the close link between American and British foreign policy. "In 1891, Rhodes organized a secret society with members in a "Circle of Initiates" and an outer circle known as the "Association of Helpers" later organized as the Round Table organization. In 1909-1913, they organized semi-secret groups know as Round Table Groups in the chief British dependencies and the United States.. The Round Table Groups were semi-secret discussion and lobbying groups whose original purpose was to federate the English speaking world along lines laid down by Cecil Rhodes. By 1915, Round Table groups existed in seven countries including England, South Africa, Canada, Australia, New Zealand, India and the United States. Money for their activities originally came from Cecil Rhodes, J.P. Morgan, the Rockefeller and Whitney families and associates of bankers Lazard Brothers and Morgan, Grenfell and Company. The chief backbone of this organization grew up along the already existing financial cooperation running from the Morgan Bank in New York to a group of international financiers in London led by Lazard Brothers. Lionel Curtis established in England and each dominion a front organization to the existing local Round Table Group. This front organization called the Royal Institute of Public Affairs, had as its nucleus in each area the existing submerged Round Table Group. ...It might be pointed out that the existence of this Wall Street Anglo-American axis is quite obvious once it is pointed out. It is reflected by the fact that such Wall Street luminaries such as John W. Davis, Lewis Douglas, [John] Whitney and Douglas Dillon were appointed to be American ambassadors in London." If we forget about the other groups, the description of the U.S. and U.K. Round Table Groups as submerged nucleuses of respectively the CFR and the RIIA is the perfect description of the Pilgrims Society. Also, the only name of a person in the quote above, that is not represented in my incomplete Pilgrims members list, is Lionel Curtis. All the other names are confirmed Pilgrims. And what is said here about the large number of Morgan representatives is something I also immediately noticed when I was filling in all the biographies. Even though Rockefeller interests, especially in later times, were just as dominant, the history of the Morgan family really shows their ties to England through George Peabody and Junius S. Morgan. At the turn of the century, the Morgans wielded enormous power over the United States economy . Besides the organizations I put in the table above, you will also find that institutions like the Atlantic Institute for International Affairs, Bilderberg, the Bohemian Grove, the Trilateral Commission, the Brookings Institution, the Ford Foundation, the Ditchley Foundations, the Fabian Society, the Japan Society, the Asia Society, the American-Australian Association, and some others, are quite frequently represented. I didn’t specifically look for these institutions though, simply because it takes me too much time. Often, these institutes aren’t mentioned in the bios of the person you’re researching. The reason that you find quite a few Skull & Bones members (or members who have family in Skull & bones) in the Pilgrims Society is probably because Yale is a prestigious University and a first choice for many law and MBA students. It’s also located very close to New York. Don’t kid yourself however, 20 year old boys don’t rule anything. You’ll also find at least 5 Scroll & Key members and many more Yale students who haven’t been into any society. But as far as I can see, the Pilgrims Society is open to anyone who learns enough, works enough, and winds up in the right place for a Pilgrims invitation. Harvard and Columbia are other common universities where Pilgrims have studied. 1906 - Pilgrims are involved in the secret Algeciras Conference to settle a dispute among the British, Germans, and French about the division of Morocco. 1913 - The earlier mentioned establishment of the Federal Reserve and of course the 1910 Jekyll Island meeting that preceded it. 1917 - Some Pilgrims are said to have been financing the Communist revolution of 1917. Most is known about the partners of Kuhn, Loeb & Co.; Pilgrims Jacob Schiff, Paul Warburg and Otto Kahn. 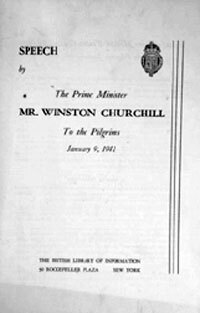 1919 - Many Pilgrims played an important role in the Versailles peace conferences following WWI. In all the history books I’ve seen, only the discussions of the ’big three’, Woodrow Wilson, Lloyd George and Georges Clemenceau, are emphasized. I’m still looking for all the names involved, but I’ve already seen quite a few Pilgrims and suspected Pilgrims. In any case, Robert Cecil, chairman of the Supreme Economic Council of the Versailles Peace Treaty was a member. In the same year, he was the chairman of the committee that established the Royal Institute of International Affairs. 1924 - After the German economy was completely taken apart and they couldn’t pay their imposed debts anymore, the Reparations Commission Committee of Experts was set up. President Coolidge appointed Pilgrim Charles G. Dawes as chairman. The committee comes up with the so called ’Dawes-plan’. 1927 - It is said that Pilgrim Benjamin Strong (head FED) and Pilgrim Montagu Norman (head Bank of England) had at least one secret meeting in July of this year with their friend Hjalmar Schacht of the German Reichsbank. 1930 - The Young plan, which is named after committee chairman and Pilgrim Owen D. Young, is introduced as a follow up of the Pilgrims concocted Dawes plan, because Germany still can’t pay their debts. Hjalmar Schacht doesn’t agree with the reparations and quits as the head of the German Reichsbank. The same year Schacht becomes a Fascist, starts bringing all the German industrialists together and becomes the most crucial person for bringing Hitler to power in 1933. 1933 and on - J.P. Morgan and Rockefeller associates are financing Nazi Germany. Pilgrims Watson and Watson Jr. of IBM were also involved. Pilgrim Averell Harriman was involved. Ford was involved, and looking at the prominent presence of the Ford Foundation in the Pilgrims Society, he was probably a member also. 1934 - Because general Smedley Butler exposes the planned coup, FDR is not thrown over and replaced by a fascist government. The persons financing various fascist elements turn out to be the Pilgrims Morgan jr., the du Ponts, Louis S. Cates through Phelps-Dodge company, and undoubtedly many other, but unconfirmed, Pilgrims. 1945 - Nazis, Knights of Malta (SMOM), and elements in the OSS create the so called ’Vatican rat lines’, through which thousands of Nazis are smuggled into Spain, South-Africa, and South-America. Pilgrim and SMOM member Allen Dulles played a large role in this project. He also plays a crucial role in releasing and recruiting Nazi intelligence chief Reinhard Gehlen (Le Cercle) so this person can establish the Gehlen Organization. This Gehlen Org becomes the eyes and ears of the CIA in eastern Europe. Reinhard recruits many serious nazis in his organization. 1946 - Pilgrim Francis Beverly Biddle was one of the four primary judges at the Nuremberg trials representing the United States. I’ll bet the British judge (and president) of the trials was a member of the British Pilgrims. 1947 - Pilgrims Society member, five-star general and U.S. Secretary of State George C. Marshall introduces his European Recovery Program (ERP). Around 1948 - Pilgrim John J. McCloy oversees the release of Fritz Thyssen, Hjalmar Schacht, Friedrich Flick and Alfred Krupp. They are the main industrialists who built up the Nazi war machine and are close associates of different Pilgrims Society members. 1951 - General Douglas MacArthur, who has just driven back the North-Koreans, is removed from his command when he doesn’t accept the decision from the US government to not attack the Chinese forces. Pilgrims Harry Truman, Dean Acheson and George C. Marshall are his main adversaries on this issue. MacArthur is replaced by Pilgrim Matthew B. Ridgway. Senator McCarthy attacks Truman, Acheson and Marshall for being in the communist camp. 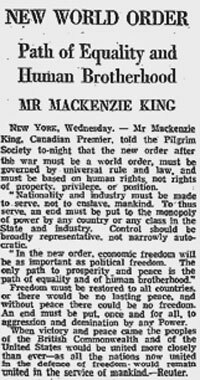 1954 - Some of the earliest invites to the Bilderberg conference are Pilgrims Society members; David Rockefeller, George Ball, and Henry Heinz. 1961 - Howard Hughes, owner of Trans World Airlines, is charging Pilgrim Charles C. Tillinghast, Jr., the president of his company, with conspiring with others to take over the ownership the company. 1963 - Pilgrims John J. McCloy and Allen Dulles are members of the Warren Commission. Gerald Ford, a future honorary Pilgrim, is a third member. 1965-1973 - During the Vietnam war, Pilgrim Henry Kissinger is the chief US negotiator for the communist regimes. At the same time, Kissinger and many of his Pilgrims Society buddies were investing massive amounts of capital into the Soviet Union, even though this country continued to supply about 50% of North-Vietnams military arms. Of course, these were allowed to enter North-Vietnam almost unobstructed, because the US government was afraid for an escalation of the conflict if Haiphong harbor was closed off and bombed into oblivion. Pilgrims Society members controlled at least some of the institutions that had to check the goods that were imported into the USSR. 1973 - Pilgrim Edward W. Simon was chairman of the President’s Oil Policy Committee from February to December of 1973 (oil crisis started in October in the midst of the Yom Kippur war). He also was an administrator of the Federal Energy Office since December 1973 and was charged with the responsibility of minimizing the effects of the energy crisis and preventing future crises (decided the oil prices and the distribution). Together with Pilgrim Henry Kissinger he was the most important speaker of the 1974 International Energy Conference. In 1973, Henry Kissinger first informed the Pilgrims about the creation of an "International Energy group", which became the International Energy Agency. 1975 - Pilgrim Nelson Rockefeller heads the ’ U.S. President’s Commission on CIA activities within the United States’. It was created in response to a December 1974 report in The New York Times that the CIA had conducted illegal domestic activities, including experiments on U.S. citizens, during the 1960s. The commission was, among other things, responsible for the investigation and publication of Project MKULTRA, a CIA mind control study. 1992 - Pilgrim Lord Bingham of Cornhill heads an inquiry into the Bank of England to find out their responsibility in the BCCI drug laundering scandal. Turns out the Bank of England was just a bit lazy, but didn’t do anything on purpose. The persons that owned the BCCI were mainly 1001 Club members; Agha Hasan Abedi, Salem Bin Laden, and Kalid bin Mahfouz, possibly more. Lord Bingham became a member of the very elite Order of Garter in 2005. Some other persons involved with the BCCI scandal were members of the secret international intelligence group Le Cercle. 2001 - Henry Kissinger, who was picked as the first chairman of the 9/11 commission, was a Pilgrim. The old vice-chairman of the 9/11 Commission, George John Mitchell, became a director of the CFR in 1995, so chances are very substantial he’s a Pilgrim too. The new chairman, Thomas H. Kean, is from a very prominent New Jersey family and has been a chairman of the Carnegie Foundation, so don’t be surprised if it turns out that he also attends Pilgrims dinners (or 1001 Club meetings in his case). More rumors concerning 9/11 and likely Pilgrims exist, but as plausible as some of them sound, I won’t go into them, simply because I don’t trust the researchers this information came from. 2004 - Pilgrims Society member Lord Peter Inge is part of a five-member panel that looks into the gathered intelligence that was used to justify an invasion in Iraq the year before. All 5 are Privy Councillors and just as the panel’s chairman, Lord Inge is a knight of the Order of the Garter. * As you can see, when we move into the eighties and nineties, information on the Pilgrims becomes quite scarce. It is obvious that the Pilgrims Society has a very interesting history and that it’s membership consists of very influential people. Above all, it seems that the Pilgrims Society represents that old dream of Cecil Rhodes to create a worldwide English-speaking free-trade zone (his exact words), with the dominant position for the Anglo-Saxon race. Rhodes had also been speculating about a network of secret societies that had to absorb the wealth of the world. In fact, the enormous fortune he left behind was probably used to set up the Pilgrims Society just 4 months after he died. But especially these days, ’free-trade’ policies seem to be nothing more than a tool by which western companies wrestle control of foreign markets. This makes it hard to say if their ultimate goal of ’global peace’ really is that noble. In the course the 20th century, especially after WWII, many organizations with similar objectives have sprung up worldwide. Among them are Bilderberg, the Trilateral Commission, the British Invisibles, the European Round Table, the Group of thirty, the European Institute, the Trans-Atlantic Business Dialogue, the 1001 Club, the EU-Japan Business Dialogue, the Pacific Basin Economic Council, Le Cercle, the Multinational Chairman’s Group, and dozens more. In every single case, British and American interests are represented more than adequately, at the very least in leadership positions. Even though recent names are in rather short supply it has already become obvious that we can find most, if not all of these leaders back in the Pilgrims Society. This indicates that we are dealing with one of the most important privately funded institutions of the globalist movement. But, like I already said, let’s not exaggerate by saying that we found ’the puppet masters’ or something like that. At any time, there are loads of intelligence operations going on most of the well over a 1000 members know nothing about. Also, looking at the bios, it’s obvious that there is considerable infighting going on and that different members can’t get along with each other at all. So, as for now, I suggest that we focus our energy on gathering as many names as possible. Then the picture will become clear by itself. A lot of additional information on the Anglo-American establishment and/or the British Empire can be found in the books of professor Carroll Quigley. The articles on Executive Intelligence Review also contain a lot of insightful information. December 1973, Kissinger addresses the Pilgrims and suggests an "International Energy group"
 Kansas City Infozine, biography of Robert M. Worcester (again) confirms he is a chairman of the Pilgrims.